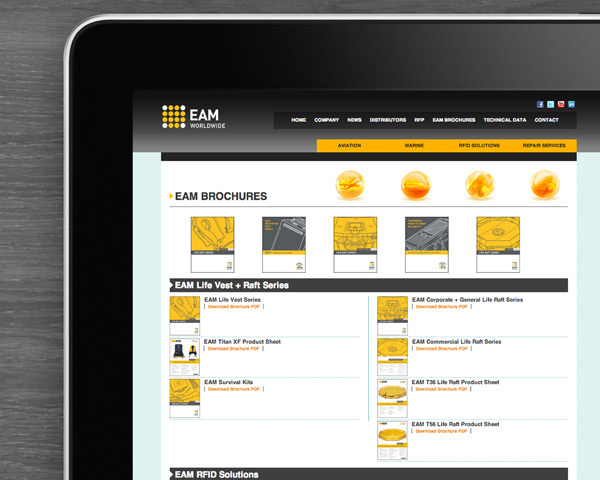 EAM Worldwide - POW! 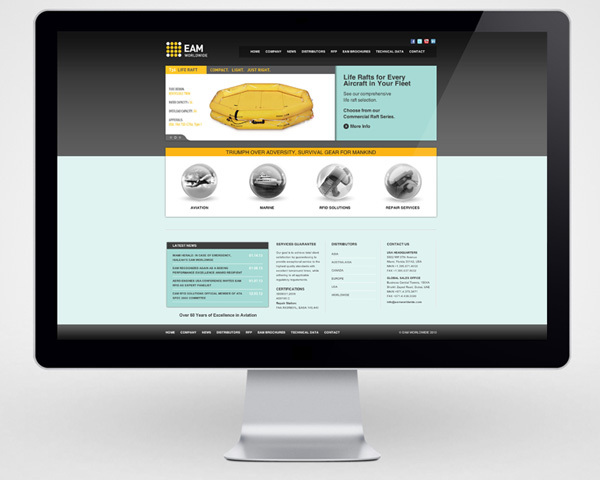 Inc.
We have been working closely with EAM worldwide with their branding development, from conception to completion this encompasses, amongst others, logo and identity design, brand guidelines, print design and buying. We had fulfilled all their design needs, across a range of mediums including booklets, brochures, marketing materials, signage, environmental graphics and business stationery. EAM Worldwide delivers high-quality safety equipment and technology to help ensure the survival and well-being of each passenger and crew member.